Vasiliy Lomachenko is widely expected to have little trouble in his Friday night lightweight title defense against British fighter Anthony Crolla, with bookmakers installing the Ukrainian champion as a massive favorite heading into the bout. The 31-year-old Lomachenko (12-1, 9 KOs) is widely regarded as the best pound-for-pound boxer in the world, and many already rank him among the best lightweights – and perhaps the best boxers – of all time. That may seem like outlandish praise for someone with only 13 professional fights, one of which was a loss. But that defeat came in only Lomachenko’s second career fight, when he took a split decision defeat to experienced featherweight champion Orlando Salido. Since then, Lomachenko has not only defeated each of his opponents, but he has made several of them quit in the middle of fights, showing that he is far removed from the fighter who lost to Salido in 2014. Crolla (34-6-3, 13 KOs) has done enough to deserve a world championship opportunity. In fact, the 32-year-old British fighter is a previous lightweight champion himself, dropping the belt two years ago when Jorge Linares beat him by unanimous decision. But beating Lomachenko is another task entirely. The reigning champion defeated Linares by TKO in the 10th round last year, though it was arguably Lomachenko’s closest fight since his only loss: the three judges had the bout scored a draw before the fight was stopped. Lomachenko has expressed disappointment over fighting Crolla, who is the WBA’s mandatory challenger for the title. The champion had hoped to get a title unification bout against Richard Commey (28-2, 25 KOs), but the IBF title holder hurt his hand in his last fight, a knockout victory over Isa Chaniev. But despite not getting the fight he wanted, Lomachenko says he won’t lack motivation to win on Friday. With Lomachenko having the advantage in what seems to be every conceivable facet of the fight, few are giving Crolla any chance of coming out on top. 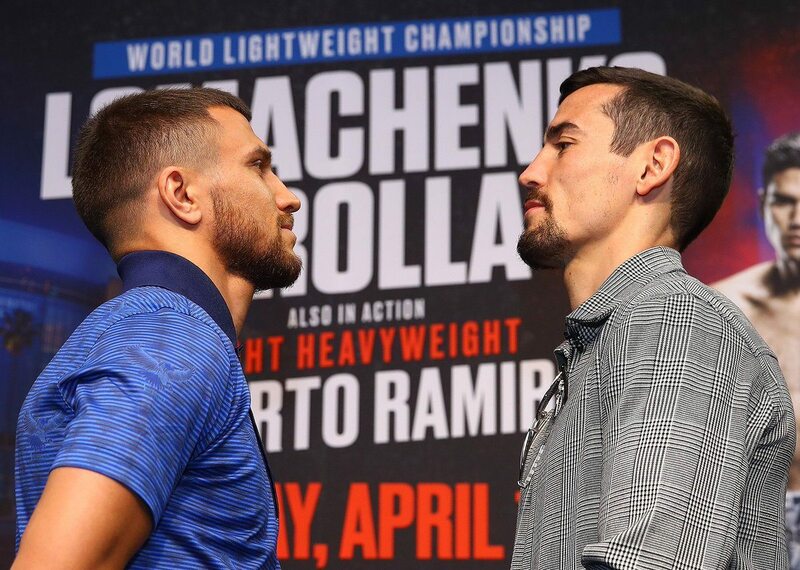 That might be unfair to Crolla, who has proven himself to be a legitimately talented lightweight in the past – though it is also a sign of the respect being given to Lomachenko and his place among boxing’s greats. That’s why sportsbooks are giving an enormous advantage to Lomachenko. The FanDuel Sportsbook has Lomachenko at -5000 – yes, that’s 1/50 – to win the fight, while Crolla can be backed at +2100 to pull off one of the biggest upsets in boxing history.